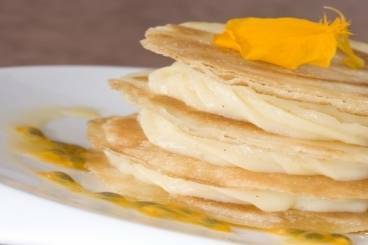 Italian cream with vanilla, served with an orange couiis and segments. 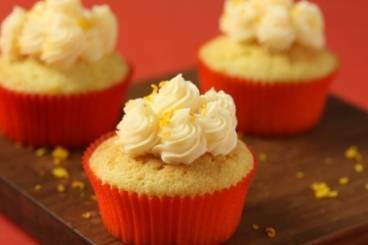 Moist cupcakes delicately scented with orange zest and orange flower water. 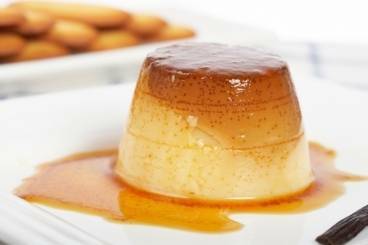 Crème caramel or flan is a custard dessert with a layer of caramel on top. 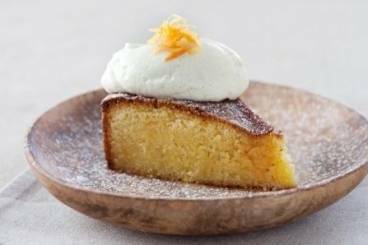 This version is flavoured with orange zest, cinnamon and star anise. Crisp filo parcels stuffed with a date and orange filling served with a citrus syrup. Orange segments served with a cinnamon and star anise scented syrup and honeyed greek yogurt. 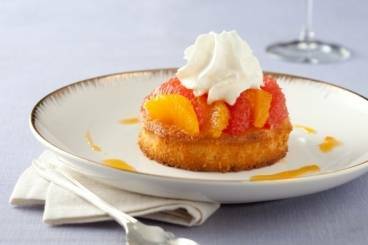 A moist almond sponge topped with marinated citrus segments and a smooth fromage blanc and vanilla chantilly cream. A different, stylish dessert to try at home or serve at a dinner party.